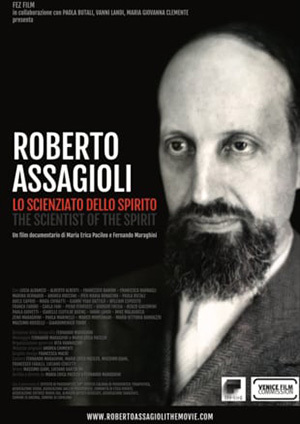 According to Roberto Assagioli then C.G. Jungs analytical Psychology is very close to psychosynthesis. In this article he compares the two therapeutic approaches. Among psychotherapists, Jung is one of the closest and most akin to the conceptions and practice of psychosynthesis. But the body of his work is so large; his range covers so many different fields, that a complete examination of it would require a sizable book. I shall thus have to limit myself to a comparative survey of some of the fields that are more directly concerned with psychosynthesis; that is, the structure of the psyche of the human being; the dynamics of the psychic energies; the methods of psychological therapy and education. The comparative procedure is very productive, because it contrasts the respective positions as to their points of agreement and divergence. But comparison does not imply judgment or criticism; and I will attempt to be as objective as possible, to stick to facts, leaving the reader to draw his own conclusions. Carl Gustav Jung was a keen investigator and an able therapist of the human being, who carried his work for­ward with a mind free from preconceptions and academic fetters. His life lacked any outstanding and dramatic event; born in Switzerland, he lived with his family mainly at Kushacht, in a comfortable but not luxurious house agreeably situated-on the shore of the Lake of Zurich. In the second part of his life, however, he traveled and spent considerable periods abroad (in India, Africa and America) studying the customs of the people and the characteristics of ancient civilizations. He had a kindly welcome for the stream of visitors from all countries, and I have vivid memories of pleasant and animated conversations with him in his book lined study full of curi­ous exotic objects. “The work in this field is work for pioneers. I have often gone astray and many times have had to go back and learn from the beginning. But I am aware of it and for this reason am resigned to having to admit that, as the day emerges from the night, so truth is born of error. This confession of Jung’s should be greatly appreciated. His understanding of the relativity of our knowledge and the recognition of the unavoidable subjective element in every researcher made him shun all systematic formulations and categorical statements. He took up a firm position on the ground of psychological experience and the empirical method, thus demonstrating a true scientific spirit. With it, however, he combined some lack of precision in thinking and writing and an unwillingness to admit a substantial reality transcending the strictly psychological sphere. But this limitation of his shows how unjust was the accusation of “mysticism” leveled at him many times. Such a charge reflects a lack of comprehension both of Jung and of mysticism. In reality the two standpoints are not only different but quite opposite. The mystic believes firmly in the existence of God, of a Universal Spirit; he is convinced of being, or of having been, in a state of union with that transcendental Reality. Jung, on the contrary, assumes an agnostic attitude towards it; he admits the subjective, “psychological” reality of the experience, but maintains that its essential, transcendental reality cannot be regarded as demon­strated. This can be considered a merit or a limitation, according to the point of view. In any case it absolves Jung of the charge of mysticism-a serious one in the opinion of some people. Let us turn now to the fundamental problem of psychology: the structure of the psyche. Jung has a keen sense of the complexity of the human psyche. To quote his own words “Our psychic nature is of an unimaginable com­plexity and diversity.” He has pointed out the relative autonomy of the various psychic contents and the exis­tence, often quite incompatible, of different sub-personalities or, as he calls them, personae (in the Latin sense of “masks”). Among the moderns, the greatest advocate of the intuition has been, not a psychologist, but a philosopher, Henri Bergson. Much as there is to be said about the intuition, I will mention only that there are various types or levels of it: the Bergsonian intuition, which occurs predominantly at the normal personality levels, is very differ­ent from that of Plotinus, which is purely spiritual. Jung asserts that the intuition exists at both these levels, on which it assumes different aspects but is fundamentally the same. 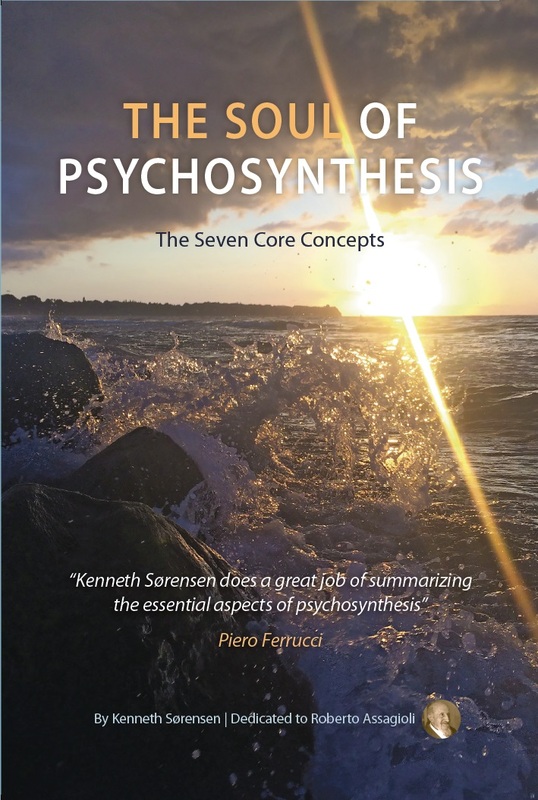 An important difference from psychosynthesis exists in connection with the psychological functions. Psychosynthesis maintains that Jung’s four fundamental functions do not provide for a complete description of the psychological life; but that there are other functions as fundamental, which merit inclusion as well. The first is the imagination. Jung’s lack of recognition of the imaginative function appears strange in view of his attribut­ing such great importance to images and symbols. The explanation lies in his belief that imaginative activity can evidence itself in all the four other functions. But he asserts this without demonstrating it or dealing with it. It seems impossible to admit that fantasy or imagination can be manifested in the function of sensation, which is a perception, by means of the senses, of the so-called external reality; that is, of impacts coming from the external world. On the other hand, other psychologists correctly give the imagination a fundamental place in psychologi­cal life. It may seem surprising that, among these active tendencies, the will has not been included. But a fundamental difference exists between the drives, impulses and desires, on the one hand, and the will on the other. We can all verify the difference, even the opposition between them; and one might say that the “human condition” is a constant conflict between drives, impulses and desires and the will. In a certain sense the will is something of a mystery, and if academic psychologists have neglected desire, they have for the most part ignored the existence of the will. I shall quote in this connection the Dictionary of Psy­chological and Psychoanalytical Terms already referred to. Under the item “Will” and “Voluntary action” it says: “Scientific psychology has not yet reached the point where it is possible to define how these terms should be used; and yet it does not seem possible to do without the concept of a praxis of behavior patterns that should be termed voluntary and which differ from other patterns in various ill-defined ways.” Vague as this may be, one can detect a rather tight-lipped admission that there exists this disturbing something in psychology which is the will. One of the reasons for this mystery about the will lies in its intimate association with the “I”, the subject, the center of consciousness. In reality, all functions are functions of a living, self-conscious being and thus of an “I”. It is the “I” that feels and thinks, that imagines, desires and wills above all that wills—and therefore as one has in general a vague and dim sense of one’s self, of self-consciousness, it is not surprising that one’s sense of its fundamental function—the will is equally confused and faint. The diagram below, though only approximate, is intended to indicate this structure of the psyche. The triangles starting from the central circle represent the psychic functions: sensation; emotion; imagination; impulse and desire; thought; and intuition. The will occupies a position apart from the others, a central position indicated by the circular area surrounding the point of self-consciousness, the “I” or Ego. We now come to the direction of the vital interest, and so pass from the descriptive to the dynamic aspect. One of Jung’s most valuable contributions was the discovery and description of two fundamental psychologi­cal types based on whether the vital interest is directed outwards or inwards, and thus “extraverted” or “intro­verted”. I should mention at once that it is less a matter of “types” in a precise and static sense, and more of the prevailing direction of the vital interest, and thus of the consequent evaluations, chokes, decisions and actions. This predominating tendency can be strong (for instance, indicating this intensity in percentages—ninety per cent) or weak (sixty per cent, or say forty per cent). There is little need to describe the characteristics of the ex­travert and introvert; by now they are a matter of common knowledge. It is worth remembering that this prevail­ing tendency is subject to extreme, even pathological, variations. In its almost pure form, extraversion is to be observed in manic states, introversion in melancholia and depression. This direction of the vital interest is susceptible to alternations and oscillations ranging from the normal and moderate to the extreme and pathological. The extremes in alternation are to be found in cyclothimia and manic-depressive psychoses, which may or may not be intercalated by periods of equilibrium. In addition, the alternation can be rapid or slow, the cycles long or short. It is interesting to observe how a normal alternation occurs in relation to the various ages from birth to old age. The infant is totally introverted, totally absorbed in his organic sensations. As childhood progresses, he becomes increasingly extraverted and directs his interest towards the external world. The adolescent reverts to introversion when the awakening of energies, feelings, and emotions creates problems and crises that focus his interest upon himself. This generally gives place again to extraversion as the young man and adult become involved in relationships with others (interpersonal and social) and in professional activities. Maturity and especially old age produce a return to introversion, accompanied by detachment and waning interest in the external world, and by a tendency towards the inner life, contemplation and dispassionate observation. By combining the tendency to extraversion or introversion with the four psychological functions he postulates, Jung arrives at a classification of eight types: the extraverted sensory, the extraverted emotional, the extraverted mental, the extraverted intuitive, and four corresponding introverted types. But this and other classifications expose those who adopt them to the dangers of schematicism and pigeon-holing, of yielding to the (so comfort­able!) tendency to “label” human beings. We must be on our guard against overlooking the multifarious and complex facets of human reality. It is all too easy to regard others as “objects” instead of “subjects”. And this labeling, with its associated attitudes of judging, or more often of depreciation, often provokes hostile reactions, sometimes of an intense kind, which are thoroughly justified. 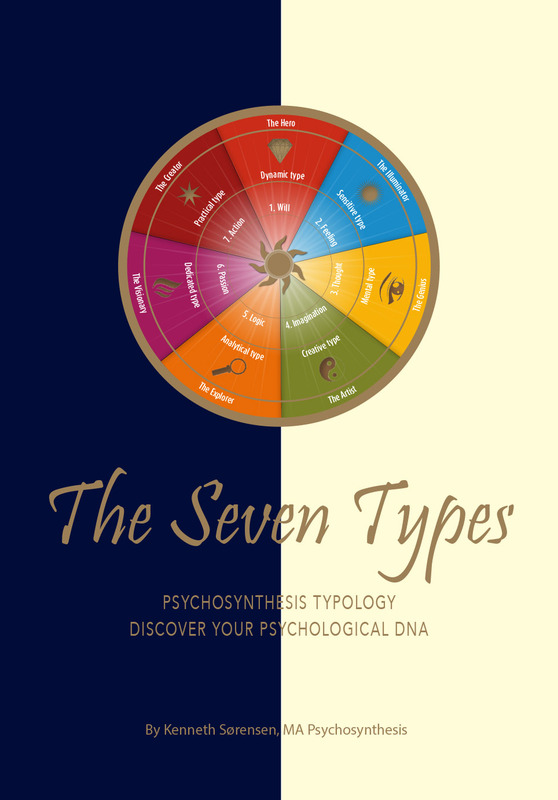 But to the eight types recognized by Jung, others must be added. Opposite interest-directions can be associ­ated simultaneously with different levels in the same personality. For instance, a man may be predominantly extraverted physically, introverted emotionally and again extraverted mentally. His will can also be extraverted or introverted. Furthermore, another distinction must be made: the direction of the vital interest is subject to two separate “modalities” or attitudes: the active and the passive. Jung mentions this, but does not develop the point, which, in my opinion, has a fundamental importance. A passive extravert, endowed with excessive sensi­tivity, who succumbs to every external influence and is dominated by the will of others, is very different from an active extravert who tends to dominate things and people, to bend them to his will. In this sense, they are opposite types. To this must be added the fact that there are two other interest-directions to be recognized and given the utmost consideration; the direction downwards towards the low, which may be called subversion, and that upwards towards the high, or supra-version. Subversion is the tendency to plumb the unconscious in its lower aspects; and it can be said to be the province of “depth psychology” in its more restricted sense (the “descent into hell”) and can be compared to sub-aquatic sport. Freudian psychoanalysis displays an almost exclusive interest in the lower aspects of human nature. In supra-version, on the other hand, the vital interest and search are directed towards the higher aspects of the psyche, towards the superconscious, towards spiritual experiences. This, in contrast to sub-aquatic sport, can be compared to mountain-climbing. To Jung must be given the credit of having recognized and demonstrated the existence in the human being of the natural tendency towards the high, of a genuine need, which he called instinctive, for spiritual satisfaction. He gave prominence to the fact that the neglect or repression of this need can create serious neuro-psychic and psychosomatic disturbances. Another, and important, difference is one of quality, which is different from direction. There can be a supra-ver­sion of an inferior kind: the dreamer, the passive idealist, the sterile theoretician, the utopian are examples of supra-version of a negative type. There is again a subversion of a superior kind, such as the scientific investiga­tion and exploration of the lower aspects of the unconscious, what could be termed psychological geology and archaeology. Although I cannot now discuss the psychosynthetic tasks connected with the various directions of the vital inter­est, I should mention that there are also other psychological types deriving from the differences in the personal­ity “structure”. There are individuals who are relatively coherent, well “shaped”, even rigid. 0n the other hand there are others who are diffuse, continually changeable. Others, again, are habitually contradictory or ambiva­lent. All this shows the great complexity of the human psyche and the impossibility of framing or pigeon-holing it in some designation or description arrived at from a single viewpoint. Only the sum of the various points of view, of the different approaches or “frames of reference”, can give a less imperfect conception of the psyche of that strange creature, a member of the fourth kingdom of nature—the human being. Up to this point I have scarcely mentioned the unconscious. Its existence is by now generally admitted, except by a few psychiatrists and psychologists bound by old conceptions which can be considered outdated. Accord­ing to Jung, the unconscious is an exclusively psychological concept and includes all the psychic elements, contents and processes not associated with the “I” or Ego in a conscious way. Therefore, Jung maintains, the unconscious has no “personal centre”. This is in agreement with psychosynthesis, which warns against the tendency to make an “entity” of the unconscious, almost a personality, more or less in accord or in contrast with the conscious. “Unconscious”, as I have stressed elsewhere, should be considered an adjective, not a noun, and it indicates a temporary condition of the “psychic contents”, many of which may have been conscious and may become so again. Jung’s most important contribution to the psychology of the unconscious is represented by his extensive stud­ies of the collective unconscious. Before him, psychoanalysis had concerned itself almost exclusively with the study of the personal unconscious. Jung then showed the great extent of collective psychic elements and forces, which exercise a powerful effect on the human personality. In my diagram* of the constitution of the psyche, the collective unconscious is represented as lying outside the individual psyche. The demarcation line is dotted, to suggest the continuous exchanges going on between the collective and the personal unconscious. The uncon­scious exists at all levels, in both the personality and the collective psyche. The collective unconscious is a vast world stretching from the biological to the spiritual level, in which there­fore distinctions of origin, nature, quality and value must be made. It should be noted that Jung often disregards these distinctions: he speaks of the collective unconscious en bloc and is inclined to confuse what he terms “archaic”, that is, what originates in the ancient collective human experience, with what is higher (we would say superconscious) and in the spiritual sphere. Thus Jung speaks or “archetypes” as “images”; but at times he de­scribes them as archaic, racial images, charged with a strong emotional tone accumulated during the centuries, and on other occasions he treats them as principles, as “ideas”; and he himself suggests their affinity with the Platonic ideas. In reality, there exists not only a difference but an actual antagonism between these two concep­tions of “archetypes”, and from this confusion between them arise various debatable consequences, debatable at the theoretical level and liable to be harmful in therapy, as I shall have occasion to mention in speaking of Jung­ian therapy. In my opinion, it can be said without disrespect that Jung himself has been dominated by the potent fascination of the collective unconscious, against which he puts his patients on guard. Jung rightly attaches great importance to symbols and symbolism, to which he devoted much study. He recog­nized the plurality of meanings associated with one and the same symbol, in contrast to the all too frequent ten­dency to interpret a symbol in only one way and on the basis of the preconceived theories of whoever interprets it. Jung showed that the same symbol can have different meanings, not only in various individual cases, but also in the same person. He showed, furthermore, that there are regressive and progressive symbols, symbols that re­late to the archaic symbolism of the collective unconscious and symbols that indicate the attempts, the efforts to resolve certain problems, to bring about certain developments. Jung says that some symbols are messages from the unconscious (we would say of the superconscious) to the conscious personality, and he frequently utilizes these progressive symbols in his method of treatment. We come now to an important subject: spirituality and religion. Jung possessed the great merit of recognizing and proclaiming (along with very few modem psychologists) the reality and importance of spiritual needs. He maintained that man has the need to reach an understanding of the meaning of life, to believe it has a value and purpose of a spiritual nature. He ascertained that many neuro-psychic disturbances are rooted in the lack of sat­isfaction of this need, in its repression. To quote his own words:”…the lack of meaning in life is a soul-sickness whose full extent and full import our time has not yet comprehended.” (Jung, “The Soul and Death,” in Spring, 1945, p. 415) He therefore fully admits the importance of the spiritual factor, and of the religions in so far as they reflect spiritual values and further the satisfaction of spiritual needs. On the other hand, although Jung had psychic experiences of a high order, there is no evidence that he had the direct experience of a spiritual, metaphysical reality. This can be surmised from his declarations of agnosticism. He insists on a distinction between spiritual consciousness as a subjective state and a presumed metaphysical, transcendental reality; and while he affirms the existence and value of the former, he does not pronounce on the latter. He goes as far as to say that God is a “psychological function” of the individual. He does not categori­cally deny the possibility of God’s existence, but says its objective reality cannot be demonstrated. Jung can be coupled in this respect with the great American psychologist William James, who in his lectures on The Varieties of Religious Experience, given at the beginning of this century with considerable courage, ad­vances the possibility and importance of a scientific psychological study of religious experience. James did not have—and he says so—a direct religious experience; and this lack in the case of both James and Jung makes their recognition of the reality and value of the spiritual experience all the more significant. Here is evidence of the true scientific spirit which leads to the admission of the existence of certain realities, if they have been ascer­tained and documented, even if one has not verified them personally. Another subject of importance that of the ego and the Self, will be dealt with in the following sections on the therapeutic and educational applications. Jung is considered a researcher, an explorer of the vast and little known territory of the psyche, but we can add that he was a courageous and brilliant pioneer who opened up new paths and gave new dimensions to the human mind. He contributed greatly to the freeing of psychology from the narrow trammels of a purely descriptive ob­jectivism and expanded immensely its field by demonstrating the existence and the value of the higher psychic functions, of spiritual levels and needs. Moreover, as we shall see subsequently, he points the way to liberation from the conditioning pressures on the personality and from the powerful influences exerted by the images and structures of the collective unconscious. In this way he gave effective aid in furthering the “individuation” process, the discovery and development of one’s true being, one’s Self. A comparative survey of Jung’s therapeutic method and that, or more precisely those, used in psychosynthesis discloses a substantial agreement in respect of the goals aimed at; but also some marked differences in the means and techniques they adopt. One of Jung’s greatest merits has been his opposition to the “pathologism” which still holds almost undisputed sway over official medicine, including psychotherapy. Attention is chiefly directed to morbid manifestations, in particular to the investigation of symptoms and their quantitive evaluation by means of numerous examinations and analyses. The aim is to arrive at the formulation of a diagnosis, that is, giving the illness a “name”. This accomplished, one proceeds to “fight” the disease, often by bringing medicinal “big guns” to bear on it, with little concern for possible damage to healthy tissues and organs. Recently, how­ever, a reaction against excesses of this kind is becoming evident in the ranks of official medical circles. Books and articles have appeared recently that outline physical and psychological disturbances and illnesses produced by the inappropriate use of medication. A step in the right direction is being taken by a number of doctors, endowed with a humane approach and a sense of relativity, in affirming that, in reality, there are no “diseases” but only “diseased individuals”, in each of whom the same kind of morbid state assumes different characteristics and takes a different course. But up to now only a small minority take this point of view and give it sufficient importance. This represents, moreover, but an initial step, which in itself remains inadequate: we are still in the “pathological” field. The further and decisive advance-which may seem revolutionary-is to start from the “health condition” and regard man as a fundamentally healthy being, in whom some organ may be more or less temporarily damaged or malfunction­ing, but whose biological forces are always tending to re-establish harmony, the healthy state. Many symptoms then cease to be thought of as direct expressions of the illness, but are seen as defense reactions of the healthy organism against morbid agents. A typical example of such a defensive reaction is fever; and it is therefore often misguided and even harmful to fight fever with febrifugal remedies. This “pathologism” of official medicine has been countered by a reaction in favor of the use of “nature cures” on the part of some doctors and many non-medical healers. Unfortunately this reaction not infrequently assumes excessive, sometimes fanatical proportions. Official therapy has had great and undeniable success and saved many lives, and all the good it contains cannot and must not be discarded. Antibiotics afford a good example of this situation: their moderate use in appropriate cases can be of great therapeutic benefit, although their abuse can do a great deal of harm. Here too the principle of synthesis should be applied. Irreconcilable opposites do not exist; opposing attitudes and methods can be united in a constructive synthesis. The matter could be formulated also in this way: it is not “this or that” but “this and that”; it is a question of finding in every case the right adjustment, the appropriate integration, the synthesis of what seems opposed and is instead complementary. All this is true also in the field of neuro-psychic disturbances and physical ills of psychological origin (psy­chosomatic disturbances). Here too, and indeed particularly in this area, the diagnostic label often has a very relative importance. Combinations of symptoms are found which do not lend themselves to being pigeon-holed according to the “diseases” described in psychiatric treatises. Here also there are “defensive structures” erected by the psyche of the patient which must be recognized and not demolished until it is discovered how to replace them with other and better patterns. Practice of psychotherapy is often directed to “fighting” symptoms and disorders and neglects what is healthy and sometimes of higher quality in the patient. As I have mentioned, Jung reacted vigorously against such “pathologism” and declared: “I prefer to understand man in the perspective of his health.” (Cahen, La Guérison Psychologique, Librairie de l·Université, Georg et Cie, Geneva, p. 180.) Jung’s position here is in complete agreement with the basic principle of psychosynthesis. Let us now examine in more detail the therapy used by Jung. This survey, however, presents difficulties for various reasons. First of all, Jung openly acknowledged the infinite variety of human beings and conditions, and therefore the necessity of using different psychotherapeutic methods adapted to the constitution and specific situation of each patient. Here is how he puts it: “Seeing that anything in this world, if carried beyond a certain limit, can be pushed to the absurd, the problem of the neuroses and the means of curing them becomes a formi­dable matter. I am always entertained when clinicians who conduct their affairs admirably, claim to cure by A’s method, or C’s or F’s, or even J’s. Such things do not exist and cannot exist, and if they do occur are well on the way to failure. If I treat Mr. X, I am forced to apply the X method, and with Mrs. Z, the Z method; and this means that the ways and means of treatment are predominantly determined by the nature of the patient.” Here too there is a close agreement with the plurality of psychotherapeutic techniques adopted by psychosynthesis. Another difficulty arises from the fact that the methods used by Jung were developed and expanded during the many decades of his medical activities, parallel with his increasingly wide and deep experience and with the new ideas and intuitions that presented themselves to his alert and open mind. For these reasons—as well as because of the growing prevalence in his last years of his cognitive interests and psychological investigations over purely therapeutic questions—Jung never wanted to set forth his methods of treatment in any systematized and complete manner. To fill this gap to some extent, one of Jung’s pupils, Dr. Roland Cahen, has, with great patience and skill, ex­tracted from the mass of Jung’s writings the passages and chapters dealing with therapy and compiled them in La Guérison Psychologique (see above). This work was revised and approved by Jung himself and thus consti­tutes an authorized exposition. A preliminary observation of a general nature concerns the actual name of Jungian therapy. He kept to the last the designation “Analytical Psychology”, which he adopted to indicate its derivation from and connection with psychoanalysis. In reality, however, this name does not do justice to the integrative and synthetic tendency which increasingly inspired Jungian therapy. In fact this aims at producing a profound transformation of the personality and its integration by means of what Jung called the “process of individuation”. But before explaining and examining Jung’s specific method, it should be made clear that, as he said himself, this method must not be used with all patients. There are many, specially among the young, whose disturbances have been produced by psychic traumas, by conflicts rooted in the personal unconscious, or by strife between the individual and other people, above all members of the family and the social environment. Jung maintains that in these cases, treatment mainly psychoanalytical and certain methods that he included in what he called “little therapy” may suffice (see La Guérison Psychologique, p. 239). However, these cases often require also the application of active techniques that Jung neglects. On the other hand, there is a broad group of patients whose disturbances are the product of crises and deep conflicts of an “existential” kind, which involve fundamental human problems about the meaning and purpose of life in general and about the individual’s own life. It is to be remarked that not infrequently the patient is not aware of these deep-seated causes of his illness, and it is the treatment that renders him conscious of them and then helps him to eliminate them. 1. Clear vision, or the above-mentioned recognition of the nature and causes of the illness. 2. Conscious assimilation of the contents of the unconscious. 3. The discovery of the Self. 4. The transformation of the personality. 5. Its integration and synthesis. From this it is evident how closely what could be called Jung’s “therapeutic program” is akin to that of psycho­synthetic therapy. It is not my intention to describe Jung’s procedures; they can be found amply dealt with in his books and in those of his pupils. He developed a series of profound concepts, sometimes somewhat obscure, about the “shad­ow”, about certain parts of the unconscious both antithetical and complementary to the conscious personality, which he called “anima” in the man and “animus” in the woman. All this, I repeat, can be found in the books of Jung and his collaborators. I will touch only on some points to emphasize the similarities and differences be­tween these concepts and the techniques of psychosynthesis. 1. Clarification. Jung fosters the patient’s awareness of the contents of the unconscious and their assimilation in his conscious personality by means of dream analysis and free drawing. The analysis of dreams is the basis of psychoanalytic therapy, but this implies their interpretation and here arises a substantial difference between or­thodox psychoanalysis and Jungian “analysis”. In psychoanalysis the interpretation tends to “reduce” everything to infantile impressions and traumas, and to instinctive urges. Jung instead, although admitting the existence of dreams of this type, says that there are dreams of very different kinds, particularly those he calls “prospec­tive” or constructive, i.e., dreams containing true messages from the unconscious (I would say from its higher level, the superconscious), which indicate to the conscious personality of the patient certain situations, certain facts, of which he was not aware, and point to the solution of his conflicts and the way leading to integration. In his work, Jung gives many examples of dreams of this type and their interpretation, confirmed by the patient’s recognition and by the curative effects. In reality, dreams fall into many different categories, and one must be on one’s guard against stereotyped interpretations of the “dreambook” variety. But too often therapists succumb to this facile procedure, ignoring the fact that the same symbol can have as many meanings (some of them contra­dictory) as there are patients. Of this Jung was well aware. Free drawing provides an excellent means of promoting the emergence of the unconscious and encouraging messages from the superconscious. In this connection, it should be pointed out that the usefulness of free draw­ing is independent of the artistic value, or lack of it, of the drawing itself. Free drawing is an expression of the unconscious and may be of a rudimentary character; indeed it is easier for the unconscious to ‘give messages’ to someone who has never drawn than to a person with some training and skill in drawing. In the latter case, a concern about form may interfere with and diminish the spontaneity of the unconscious. Although psychosynthesis makes wide use of these profitable methods, it avails itself also of others that encour­age the emergence of the contents of the unconscious. Prominent among them is the presentation of “evocative pictures”, called “T.A.T.” (Thematic Apperception Test) much in use in the United States. It consists of twenty standard designs; but I do not restrict myself to these in using the test, principally because they are negative in character, tending to evoke only complexes and conflicts and not promote the emergence of the higher aspects. Moreover, in view of the great variety of patients, I prefer to use different pictures, adapted to each particular case. Naturally, this precludes the possibility of compiling the statistics beloved of experimental psycholo­gists—which are so often useless. There is, besides, Desoille’s procedure, the “rêve éveille” (waking dream), which, skillfully used, is very re­warding, not only in stimulating the manifestation of the contents of the unconscious, but also in promoting the therapeutic integration of the personality. 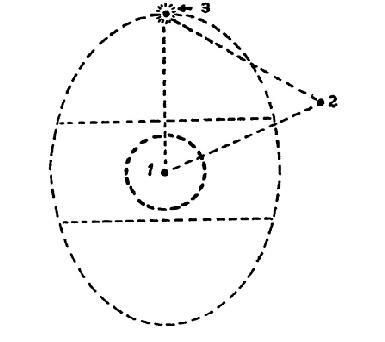 A method akin to this is the “Initiated Symbol Projection” of Leuner. In addition to the images in use by these and other methods, I avail myself of a wide variety of symbols chosen for their appropriateness to the type of patient concerned. (See Psychosynthesis-A Manual of Principles and Techniques, pp. 177-191.) Listening to suitable passages of music also yields very good results, because the re­actions of the unconscious to music are lively and spontaneous. 2. The entry, not infrequently a veritable irrup­tion, of unconscious elements and tendencies, in particular of the collective unconscious, may produce troubles and sometimes be dangerous, as Jung clearly recognized. Therefore in the practice of psychosynthesis—par­allel with the evocation of the “daemons” of the unconscious, and at times even before—active methods are employed to reinforce self-consciousness, the consciousness of the “I” or Ego, and to develop its power of dominating the elements already present and active in the conscious personality. This so important part of psychotherapy is generally neglected. The discovery of the unconscious, the interest in investigation have often deflected therapists from the consideration, of first importance, of the conscious personality and its center, the “I” or Ego. A typical admission of this omission was made-by Emil Gutherl at the American Psychoanalytic Convention at Washington in 1958. Here are his words: “We should recognize that the ego is far more important than has hitherto been acknowledged, but we know almost nothing about it”. Among the many existing techniques for strengthening the Ego, the development and training of the will is ac­corded an important place in psychosynthesis. (The will, as I have said elsewhere, can be termed “the unknown factor” in modern psychology.) In addition, specific techniques are used for the activation and “descent” into consciousness of the contents and activities of the higher part of the unconscious, the superconscious. Others emphasize in their testimony the universal aspect of the consciousness of the Self. Hermann Keyserling, for instance, writes: “That which is deeper, more substantial than the individual is never the ‘general’, but the ‘universal’: and the ‘universal’ expresses itself precisely through the individual, and the latter becomes more universal in the measure in which he becomes deeper.” (Problems of Personal Life, p.167). We have here an ex­ample of the “coincidentia oppositorum”, of the fact that terms which rationally, according to Aristotelian logic, appear to be opposites are not mutually exclusive. Life is a continual synthesis of opposites; even biological life incorporates a delicate equilibrium (homeostasis) between antagonistic systems. The twofold aspect, individual and universal, of the Self is indicated in the diagram below of man’s psychic structure by the position of the “star”, which is partially outside the periphery of the individual psyche and par­tially within it. The former indicates the union of the Self with transcendent or ontological Reality, the universal Self; the latter the relationship with the individual superconscious. The Ego, or conscious “I”, is an emanation from or projection of the Self and can become aware of it in various ways and degrees, can identify itself more or less completely and temporarily with the Self. The Universe that reabsorbs me in itself? The poet is not aware how it has happened, whether the “I” has become expanded into the universe or the universal life has incorporated him in itself. Furthermore, he is aware of the difficulty of expressing this experi­ence, this state of consciousness, and of the inadequacy of any verbal formulation (“this little verse”). An examination of the varying proportions of the individual and universal aspects in these experiences would prove very interesting. Here I will mention only that in experiences of a mystical, intuitive type, the universal aspect is predominant, that is, the invasion of the consciousness by a wider Reality. On the other hand, in experiences gained through psycho-spiritual training, in which the consciousness seeks to rise to the Self and achieves a momentary union with It, the sense of self-consciousness remains uppermost. The individual contin­ues to feel “present” and active, while participating in a far wider type of consciousness. 4. Let us now examine the phases of the transformation of the personality and its integration. According to Jung, they constitute an essentially spontaneous process, which, however, can be fostered by the “catalytic” presence of the therapist and the human relationship with him. Jung accords special importance to this relation­ship, which he calls “transference”. The Jungian concept of the transference is neither clear nor unequivocal, and it altered in the course of the years. He himself states in the “Conclusion” of his book The Psychology of the Transference: “The problematic character of the transference is so complex and many-sided that I lack the categories needed to offer a systematic exposition of it.” (p. 171) He has thus preferred to deal with it through a commentary and interpretation of an alchemical text, the Rosarium Philosophorum, the symbolism of which appears extremely complicated and obscure, and in which Jung himself finds contradictions. In psychosynthesis the problem of building good relations between patient and therapist is rendered easier—or shall we say less difficult—by the therapist’s not only pointing out and suggesting to the patient, as Jung does, the goal of his “individuation”, but encouraging and educating him from the outset to practice active methods of acquiring an increasingly clear self-consciousness, the development of a strong will and the mastery and right use of his impulsive emotional, imaginative and mental energies, and to avail himself of all means of gaining independence of the therapist. a. The transference—in the strict sense originally attributed to it by Freud, i.e., the “projection” onto the doctor of the patient’s impulses, attachments and emotions felt in childhood towards his parents. These attitudes can be positive (loving) or negative (hostile). The projections have to be analyzed and dissolved. Here there is agree­ment between Jungian therapy, psychoanalysis and psychosynthesis. b. The specific relationship created by what may be termed the therapeutic situation. In it the therapist rep­resents and exercises an essentially “paternal” function. He must, to some extent, take on the role and task of protector, counselor and guide. In dream symbolism, says Jung, he frequently appears under the as­pect of the “wise old man” and corresponds to what the Indians call “guru”. This relationship is very dif­ferent from the unconscious projection that happens in the transference. It is conscious, factual, real. It is indicated in the diagram by the star outside the psyche of the subject, which acts as a link or bridge between his ego and his Self. When the ego fails to reach consciousness of the Self directly, “vertically”, it can be effec­tively helped by the therapist who represents for the patient some. one in touch with his own Self and therefore becomes a “model”, or even a “catalyst”. c. A human relationship which is developed as the treatment proceeds and creates psychological reactions at various levels and of different kinds. A detailed examination of this cannot be entered into on this occasion; I may say only that the therapist’s delicate and difficult task is to maintain this relationship within proper limits and, one might say, “at a high level”, assenting to its positive or constructive aspects, but resisting the attach­ments, demands, pretences and attempts to monopolize on the part of the patient. It can be done with firmness coupled with tact and kindness, and the patient made to understand how these attitudes, while they may provide temporary gratification, are in reality harmful to him. The transition from the second to the third type of relationship is valuable, even indispensable, for a variety of reasons; above all to promote the patient’s growing autonomy, then to eliminate the tendency, rooted in moral laziness, to lean on someone else, unload his own responsibilities and get himself led by the hand; further, to prevent the crisis of the patient’s discovering human imperfections in his mentor and helper—it happens easily, one might say inevitably! —and disappointedly switching from excessive admiration and obedience to criticism and hostility equally excessive. d. The resolution of the relationship at the conclusion of the treatment. This is a critical point and needs to be handled with wisdom. I have said “resolution” and not termination of the relation­ship, because the conclusion of the treatment can frequently happen very gradually and almost imperceptibly, and also because the positive relationship can continue afterwards in some form, either as a friendship or collab­oration, or both. Often the cured patient is able to understand and help other ill people better than the so-called healthy. In this way the improved patient can, even before being completely cured, collaborate and maintain a constructive association with his doctor. Jung therefore strongly insists on the necessity of a didactic analysis; in other words, whoever intends to prac­tice psychotherapy must submit himself to a psychological analysis by another psychotherapist. In fact, says Jung, “the doctor will not spot in the patient what he does not see in himself, or will be unduly influenced by it.” (La Guérison Psychologique, p. 237.) Psychosynthesis is fully in agreement on this point. Two things are worth noting: the first, that when the didactic psychosynthesis cannot be managed, the therapist should put himself through an “autopsychosynthesis”. It may be recalled that a non-”orthodox”, psychoanalyst, Karen Homey, is in agreement here, as evidenced by her book Self-analysis (N.Y.: Norton, 1942.) But she restricts herself to the limits imposed by psychoanalysis and does not enter the field of psychosynthesis or take into account the higher elements of the psyche. In psychosynthesis, on the other hand, the therapist can avail himself of a greater number of aids, in the form of active techniques, which he can apply to himself and experiment with. I would say that every one of us, but in particular every therapist and every educator, can be considered a “living laboratory”, in which the “occupant” is “experimenting” for twenty-four hours a day (as this includes dreams). Moreover, it is not indispensable that either didactic psychosynthesis or autopsychosynthesis be concluded before beginning psycho-therapeutic prac­tice. The need in this field is so urgent and wide that anyone willing to devote himself to it should do so as soon as his training permits, even if lacking in some aspects. His equipment must, however, include a critical sense and humility sufficient to recognize his own deficiencies, and the goodwill to eliminate them. In fact, autopsy­chosynthesis, like education, should be a lifetime occupation. The transformation of the personality and its integration or psychosynthesis—apart from the transference pro­cess—often occur spontaneously, or, as Jung maintains, as a result of the creative and synthesizing action 0f the symbols that emerge from the unconscious. Jung does not advise the active intervention in this process either of the therapist or of the will of the Ego, the conscious “I”. Psychosynthetic therapy—while fully recognizing the importance of the spontaneous processes of self-healing and the integrative function of symbols—proves that these processes can be promoted and effectively assisted by the co-operation of the conscious personality. This action is performed by what constitutes the center, the dynamic element, that is, the conscious and active subject, using his will. The necessity for such active co-operation is based on two reasons. The first, already mentioned, is to contain and control the energies erupting from the unconscious, and then to promote their transmutation, sublima­tion and constructive application. This particularly applies to sexual, emotional and aggressive tendencies and energies, which lead to the intensification of those already present in the conscious personality. The importance of this part of the treatment is evident, as is that of the knowledge and use of the active methods for its imple­mentation. These methods can be widely applied in education and autopsychosynthesis as well, and should be generally made known and practiced. The second reason for active co-operation in achieving the integration, the synthesis, of the personality lies in the advantage, sometimes indeed the necessity, of developing, by means of active training, the psychic functions that have remained at primitive, infantile levels, paralyzed by devaluation or inhibited by repression. In modern man, engrossed in his interests and practical concerns—often with a one-sided development of the intellectual function—the higher feelings, aesthetic sensitivity, the capacity to commune with nature and the ability to estab­lish human communication with others are often lacking or have atrophied. In other people, instead, emotional and imaginative exuberance relegates to an inferior position mental, and sometimes also practical, activity. There are still other cases, to which Jung draws attention, in which the higher aspirations and needs are ignored, underestimated or feared, and thus neglected or repressed. One of Jung’s most valuable contributions is his hav­ing called the attention of psychotherapists to these cases and encouraged in his medical work the expression and satisfaction of these spiritual needs. But further advance can be made along the road opened by him. The irruption of the superconscious spiritual contents and energies can be actively assisted. As mentioned above, in many cases-indeed I believe in most of them—an active training is required to eliminate, or at least attenuate, the lack of balance in the development of the various psychological functions. This assistance is of particular importance in enabling the conscious “I” to contain and assimilate the irrupting superconscious energies and to integrate them harmoniously into the totality of the psychic life. The use of the active techniques can and should be promoted by the therapist. I have said “promoted”, since it is not incumbent upon him to teach and apply them personally. He can avail himself of the services of competent assistants, entrusting the patient to their respective competencies, but always controlling and guiding the treat­ment according to a well-defined program, and encouraging the patient to learn to carry it on by himself as soon as possible. 2. Concentration on and awareness of physical sensations, including the muscular (methods of Vittoz, Schultz, etc.). 3. Exercises in neuro-muscular co-ordination—Rhythmic movements and dancing. 4. Physical activities of various kinds. 6. Drawing, painting and modeling. 3. Evocation of auditory, tactile, olfactory, etc., “images”. 1. Those which promote the elevation of the “I” or Ego, the center of self-consciousness, to levels usu­ally superconscious and towards union with the spiritual Self. 2. Those which promote the opening of the consciousness to the “descending” inflow of the contents and energies of the superconscious. The choice of the techniques to be used in therapy must be determined by the requirements of each individual case. They should be combined and alternated according to a plan or program that is intended to promote the gradual and harmonious integration of the personality. This program gives psychosynthetic therapy and educa­tion its specific character. I have included psychosynthetic education, because the greater part of the techniques enumerated can, with appropriate adaptations and modifications, be applied effectively in educational practice, in the family as well as in school. Jung, as we have seen, not only attaches great importance to the human relationship between patient and thera­pist, but also considers the psychological rapport between parents and children and between teachers and pupils as having decisive significance. For this reason the educator must acquire a clear awareness that his psychologi­cal ignorance and deficiencies, his own complexes and conflicts, inevitably produce injurious repercussions upon those he wishes to educate. He should therefore recognize the heavy responsibility he bears and his duty to train himself for his noble but arduous task by means of an adequate self-education, founded upon the discover­ies and methods of the new dynamic psychology. The specific applications of Jung’s ideas and method of education do not lend themselves to being summarized. The way he puts them into practice in the cases on which he reports should be studied, and this can be done in the above-mentioned book. Furthermore, one of Jung’s pupils, Dr. Frances Wickes, has written an excel­lent book on child psychology, for which Jung himself provided an extensive Introduction. Its title is The Inner World of Childhood (New York: Appleton-Century-Croft; 1927) and it contains much valuable advice on the education of children, in particular on the problems of parental influence on the child. In a chapter of special interest and originality, the author deals with an aspect of the psychic life of the child that is little known—his creation of imaginary companions. “When I was a schoolboy of ten, I did not feel at all sleepy or stupid. I was often exceedingly bored when the master used to take particular pains with pupils unable to follow. But the boredom was by no means the worst part. Among our many composition themes, which were hardly inspiring, we were once given one that inter­ested me. I set to with enthusiasm and polished my sentences with the utmost care. In the joyous anticipation of having written the best composition, or at least one of the best, I handed it to the teacher. After giving back the compositions, it was his custom to discuss first the best, and then the others in order of merit. Mine was not the first, nor the second, and not even the third. I said nothing, and from that moment on I did no more work in my German class. “This experience, it is true, dates from more than a half-century ago, and I do not doubt that in the meantime school conditions have greatly changed and improved. But that episode gave me much to think about and left me with a sense of bitterness, which, however, with broader experience of life has given place to a more bal­anced assessment. I understood how, deep down, the master’s attitude had been prompted by the noble principle of helping the weak and eradicating the bad. In connection with the education of these children, Jung raises the problem whether they should be brought together in special schools or left in normal ones. He favors the second alternative, but does not go into the vari­ous aspects of the problem. I have discussed this subject in a pamphlet The Education of Gifted and Super-gifted Children (New York: Psychosynthesis Research Foundation). Jung, however, limits himself to these allusions which indicate an aspiration more than an effective move in that direction. His method is not designed to actively help the patient to initiate and to “live” that communion with other human beings. Rather he insists strongly on the opposition, indeed the conflict, between the individual and the mass, between the personal life and the collective pressure exercised by modern social life. This is mecha­nized and regimented, not solely materially but also psychologically, as evidenced by the mass ideologies, the pressure to conform, the suggestion and “persuasion” of advertising and various forms of propaganda. Jung shares this position with a number of other critics of modern life: philosophers, sociologists and psychologists, among whom Erich Fromm is outstanding. There is, unfortunately, a great deal of truth in all this, but that rigid and extreme opposition appears to be one-sided and too absolute. We must recognize that the individual and the mass are included in the extensive sphere of human relations, forming part of the normal life of man, who is, in his inner nature as well as from external necessity, a being both social and sociable. It is indeed true that these human relationships are far from being easy, harmonious and constructive. We can observe this all the time. Apart from mass pressures, human relation­ships come up against many difficulties. Those who are predominantly introverted find it difficult to create psy­chological relations with others, to communicate “humanly.” The predominantly extraverted, on the other hand, establish a wide network of relationships, but these are superficial, incidental, so that in reality the individual remains psychologically and spiritually isolated. The difficulties and conflicts in human relations are due in large measure to an excessive tendency to self-as­sertion and over-valuation of success in the external world. This leads to the depreciation or repression of the higher feelings, and the capacity for loving understanding, compassion, altruistic love. The revaluation and active development of these feelings thus become a necessity. There are, as I have said previously, effective methods of doing this, and the therapist and educator should consider one of their most important tasks to be the fostering of the awakening and expression of those feelings. The first step is the recognition and proper appreciation of the human and higher values. One effective practice to this end is the study of the inspiring lives of those who have exemplified these values—the heroes, the saints, the great humanitarians. But many of them, far more than one might suppose, are to be found among simple and humble people, as the “awards for kindness” (which should be greatly extended) have demonstrated. The second step is to arouse and foster goodwill. There are several ways of doing so; and a particularly effective one is direct contact with human suffering, and this can be obtained by visits to, and, better still, active help in hospitals, prisons, city slums, and visiting and helping lonely individuals—particularly old people. Also there is co-operation in creative and socially useful activities, in which the group spirit and solidarity are developed, and understanding and friendships established. I. Preliminary methods: Elimination of obstacles: egocentricity; separative self-assertion; hostility and combat­iveness; prejudices and preconceptions. II.Positive methods: Understanding; generosity; goodwill; altruistic love. should include and undertake these more comprehensive tasks, for which it is well equipped. 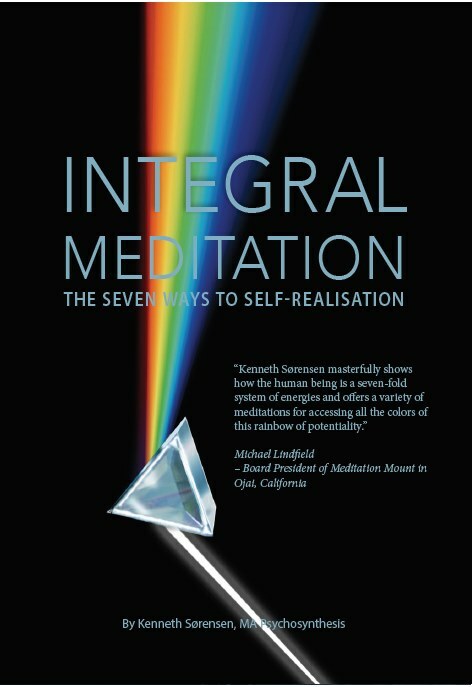 Every sick indi­vidual who is helped to establish right human relations becomes an element of balance and health in his com­munity; and inversely, every effort aimed at adjusting unbalance and collective psychoses makes it easier for the single individual to reach and maintain his personal health.